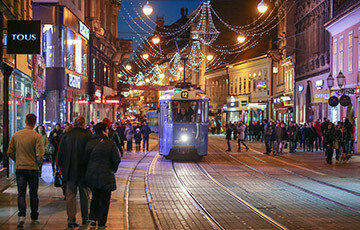 Want to visit Zagreb during advent and you are looking for the best place to stay? That is great news, to help you we give you this list of the Best Hotels near Zagreb Advent & Christmas Market. Finding a place to stay during Zagreb Advent & Christmas Market can be a handful. On one hand, it is becoming increasingly popular, but that also means it is harder to find a place to stay. TIP: We recommend you to plan your visit as early as possible. It is never too early, it can only be too late. If you’re still thinking wheater to visit Zagreb during Advent, let us throw away any of your doubts. Simply read our Zagreb Advent Guide and stay updated for the latest Zagreb surprises. 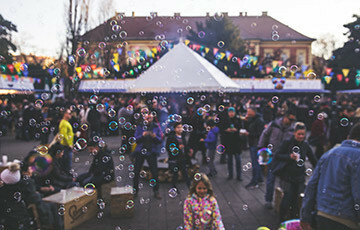 Zagreb Christmas Market will surely set a stage for a festive mood and a good time. We convinced you on visiting so now is the time to find the Best Hotels near Zagreb Advent & Christmas Market. We made our list in order of official hotel category. For us, the most important hotel features are their location and great value for money. As you will notice we highlight the amenities which we find most important. For example Free WiFi and distance to Zagreb Christmas Market. But that does not mean these hotels are missing something you find relevant. 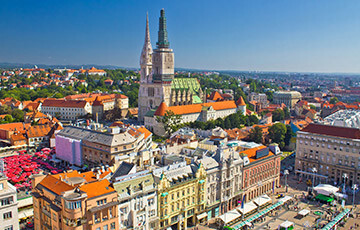 If you need to dig deeper go to our Zagreb Hotels page and pick out your category. The Esplanade Zagreb Hotel is without a doubt the most elegant hotel in Zagreb. With its prime location near Zagreb Train Station, it services its guests with the highest standards. The hotel was built to accommodate the Orient Express passengers, and it has. Many celebrities stayed and to this day are staying at the Esplanade Zagreb Hotel. During Zagreb Advent, you are located at the ideal place to start exploring the Christmas Market. Simply because you are next door to King Tomislav Square and the Ice Park. 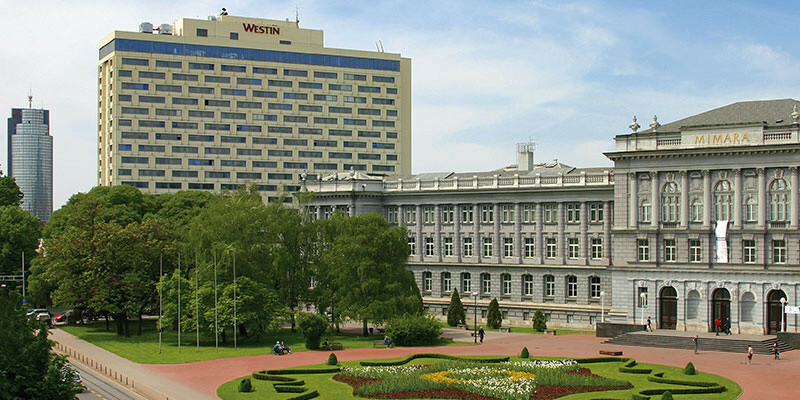 The Westin Zagreb Hotel has kept its exceptional level of service throughout the years. Some might say it is a Zagreb icon as royalty, world leaders and international dignitaries have stayed here. It has been completely renovated in 2016 and today it features 340 luxurious rooms and suites, with the signature Westin Heavenly bed. Westin Zagreb Hotel is centrally located in the very heart of Zagreb. We might say it is located in the Zagreb Museum Quarter as it is surrounded by museums. Right next to the hotel you can find the Mimara Museum and the world-famous Croatia National Theatre. Regarding Advent, it is within easy walking distance to the central square and Zagreb Christmas Market hotspots. Hotel Dubrovnik Zagreb is the best-located hotel in Zagreb. No doubt about it because it is located on Zagreb Ban Jelačić Square, in the very heart of Zagreb. Most of the hotel and its rooms are renovated offering amazing views of Zagreb city centre. The hotel offers everything you need, modernly furnished rooms, free wifi, great breakfast and amazing staff. The best of all we leave for last, as you exit the hotel wherever you go you will get to one of Zagreb attractions. The Christmas Tale is located on the main city square of Ban Jelačić and is surrounded by Zagreb Advent hotspots. As you exit the lobby you enter the Zagreb Chrismas Market at Gajeva and Bogovićeva Street. No doubt you will see a lot of locals sitting around and enjoying their day or night sipping coffee. Palace Hotel Zagreb is the first hotel in Zagreb. Today, it is a Heritage hotel located in the city centre. 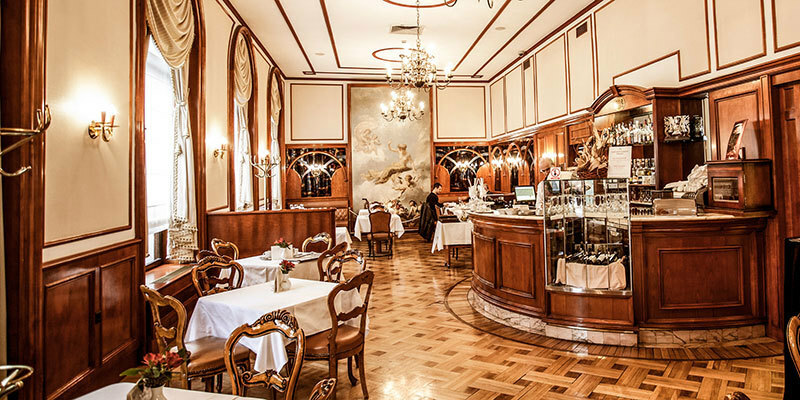 Located in an Art Nouveau palace dating from 1891 it is a hotel of choice to many Zagreb visitors. Their signature dish is Zagorje Štrukli, which we highly recommend as it is the top “štrukli” spot in Zagreb to many locals. As it offers great food and a prime location we highly recommend it for couples. Palace Hotel Zagreb is located right next door to Fooling Around at Strossmayer square and Advent on Zrinjevac, the perfect places to start your Zagreb Christmas adventure. If you wish to relax, visit their Wellness Center MEI, a little oasis in the heart of Zagreb. Hotel Jadran Zagreb is an amazing little bed and breakfast hotel in the centre of Zagreb. It located in the vicinity of Zagreb Cathedral and Main ban Jelačić Square. Although the hotel offers basic amenities, its location and service complement all of that. 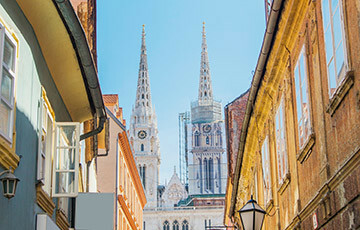 In fact, both Zagreb Upper and Down Town are at your fingertips making it an ideal starting point for your Zagreb experience. Its combination of location, friendly service, recently renovated rooms makes it a perfect budget-friendly hotel and an excellent place to stay during Zagreb Advent & Christmas Market. There you have it, a list of the best hotels near Zagreb Advent & Christmas Market. Do not be worried if they are already fully booked, Zagreb has excellent hotels all over. Plan Your Stay on time and check booking.com for availability. If by any change you can not find a place to stay at one of the Zagreb hotels, you can always try Zagreb Apartments or Hostels.